I scanned this from the Tsubasa/xxxHolic 2005 calendar. This is the January picture. 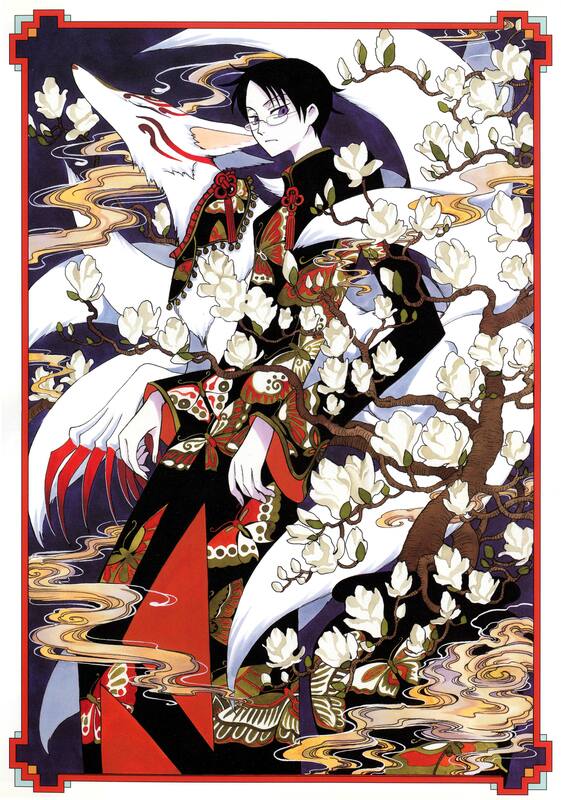 wow, I am beginning to really appreciate the classic, traditional, Chinese art style after seeing this Tsubasa/xxxHolic 2005 calendar piece. predominant reds, oranges, clean scan, big-big size, I like it. Downloaded it! Thank you for the share, Marissa! Yay! More xxxHolic scans! It's hard to find good ones like these nowadays so thanx so much for sharing it! Marvellous scan! *. * So huge and pretty... perfect! Thank you for sharing it here. watanuki rocks like that !!! clamp are too good ! A calendar...!~ I wants mores! xD So pretty. More pics more pics xD Thanks! la gasp!! it's so pretty! @,@ too bad i can't download it yet. T-T i'll come back for it later. XD ^^ wonderful scan. thank you for sharing it with us. Wonderful scan! Just as great as all the others, Clamp does such beautiful intricate artwork. Great! watanuki looks really great!! i love all the details!! thanks that you sharing this picture!!! Oh wow! Very nice scan! Watanuki looks really awesome! Thanks for sharing! this is really good ^^ i love Tsubasa and XXXholic.